either we optimize unity or we're insensate." of instant-everywhere & interactive Internet connection. that is surging in the heart and mind of global Netizens. surges the 5-D ‘High State’ to purge the 3-D ‘Deep State’. Elective government is the hallmark of public representation, yet we still have a horse-and-buggy representation system which has been hijacked by a corporatocracy that rigs elections in a myriad of ways. Since the founding of the U.S. Republic, there has been a struggle between “self-serving” (3-D) corporate interests and “5-D” (public-serving) interests, and mostly over the ownership and control of the currency of the nation – the banking system – and the currency of conscience where morality rules… or not so much. 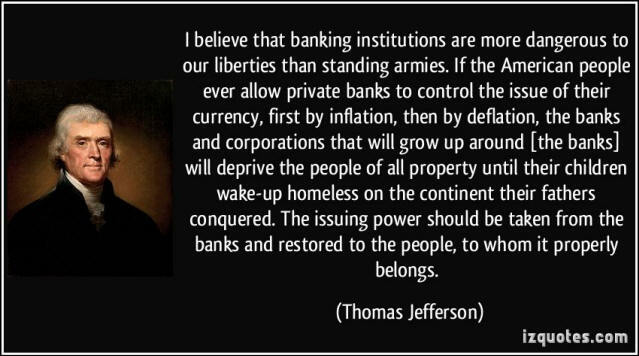 The author of our independence warned us about this stuggle with banks and the corporatocracy. Even the teaching of true history has been rigged – ‘fake history’. Many Americans don’t know the #1 cause of the American Revolution was over control of our currency and taxation without representation… and that the cause of the War of 1812 was refusal of Congress to renew the charter of the U.S. central bank that was controlled by foreign Rothschild banks… or that Alexander Hamilton was a Rothschild agent who betrayed the Constitution’s intent for public control of the currency. Popular culture, like the much-acclaimed Broadway musical ‘Hamilton’, celebrates the illusion that this Founding Father represented the Spirit of ’76. He may have displayed loyal courage on the battlefield, but moral cowardice in the White House. He was ‘bought off’ by the Rothschilds while founding ‘Wall Street’ of, by and for the banksters… but I digress. We’re long overdue for reboot of the banking system and ‘elective government’. Consider what a systemic 5-D upgrade will look like, integrating both ‘high touch” (coherence) and “high tech” (web 3.0) capabilities. It’s each one’s choice whether they involve and evolve good will for 5-D paradigm shift... or go along with 3-D paradigm paralysis. Heaven knows that the power of wisdom with love is the ‘3-fold flame’ that is more brilliant when balanced... like the balance of Executive, Judicial and Legislative branches of government. Is there a “spiritual revival” among Millennials? Common sense would say that the greatest opposition to 5-D prescience is 3-D obstinacy that is ‘Stuck In Negativity’. That negation of 5-D goes the full range from fear and anger to full blown perception deception. Each individual struggles with this personally, and with others who are likewise struggling. But this 3-D => 5-D shift is also a public process that warrants vigilance with conscientious common sense of a balanced 5-D nature. 5-D social conscience does not mature without some 3-D opposition. It goes with the territory – the quantum field terrain described by Bruce Lipton in the video at the top. The ‘dark side of the force’ is just another metaphor for the ‘Deep State’ of 3-D prevailing “BS” (Belief Systems) that are incorporated and institutionalized in Deep State organizations of power and control that poorly serve the public purpose of civil society. 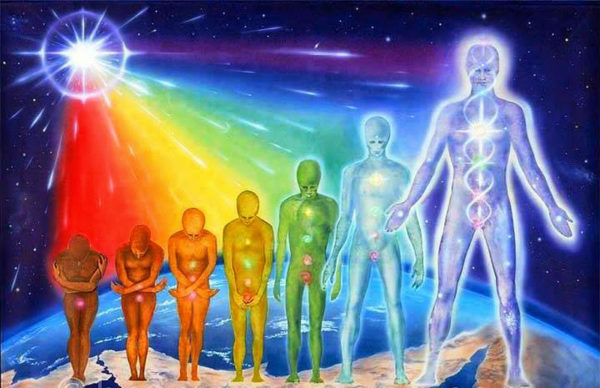 The emerging 5-D mass ascension SHIFT is more about connection than separation; more unity in diversity and less divisive conflict. Cooperative humanity will rise above 3-D insanity. And we’ll see 3-D organizations devolving (entropy) even as 5-D organizations are evolving (syntropy). Tesla is referring to the subtle quantum connection with The Field. This is the subtle but pervasive energy that is surging with 9th Wave Energies to morph the matrix of 3-D with 5-D frequencies activating one’s ‘light body’. Quantum reality has brought global humanity to the threshold of mastering the fractal order of the holographic universe. There is a fractal geometry to universal order, and tne Law of the Angles framing the Language of the Angels’ is equisite metaphor for the Quantum Age just as reaping what we sow and thrashing the "chaff" (3-D) from the "wheat" (5-D) are classic parallels (parables) from the Agricultural Age. It’s the same dynamic with a new frame of reference via pure geometry ‘first principles’ of pure intention- as focuses attention- with love retention- for conscientious ascension- in a higher dimension of 5-D+ comprehension. A little history you may not know is that the Rothchild banking cartel - co-owners of the Federal Reserve Bank - created and financed the State of Israel... as proudly stated by a Rothschild in the video HERE. Enlightened Netizens worldwide are now well aware that Zionism is the face of the Deep State as owns and controls those major 3-D money, media and military organizations that use deception, terror and other Zionist policies that have devastated the Middle East and infiltrated U.S. government at the highest levels. that the 3-D corporate media is not reporting. far better than you may have ever hoped for. Published on June 30, 2017: Winston Shrout joins the Report Team of Louisa, Steve and Kent, to discuss Moving Towards a Two Tiered Money System. Winston explains the backing of currencies and the revaluation of currencies, the New Republic of the United States, NESARA, GESARA, Basel III Compliance, St. Germain Trust, Heritage Funds and the 'Plan of The Experts', soul development and much more. This interview is jam packed with Winston's incredible knowledge, wisdom and southern good heart. Has Mark Zuckerberg found 5-D spirituality? Does he want to 'make it so' for the world? Would you agree he should know Web 3.0? Will Mark 'take heart' with web Heartware? How much would Facebook's Founder integrate into a 'universal interface' for global mass-to-mass interaction? By the grace of the whole, holistic and holy spirit of -in-action, we'll see the real 5-D deal rather than a 3-D retrofit. Nikola Tesla Interview, Hidden for 116 Years! 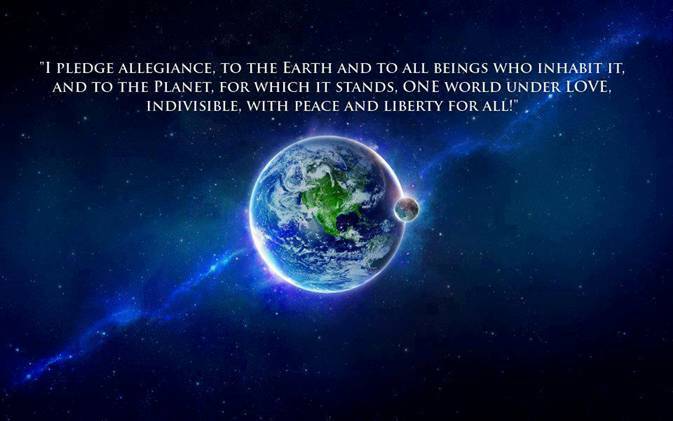 “We have two eyes: the earthly and spiritual. It is recommended that it become one eye. open heart and coherent mind. on Earth as in "Heaven" (Cosmos-at-large). during these wild and unpredictable times.